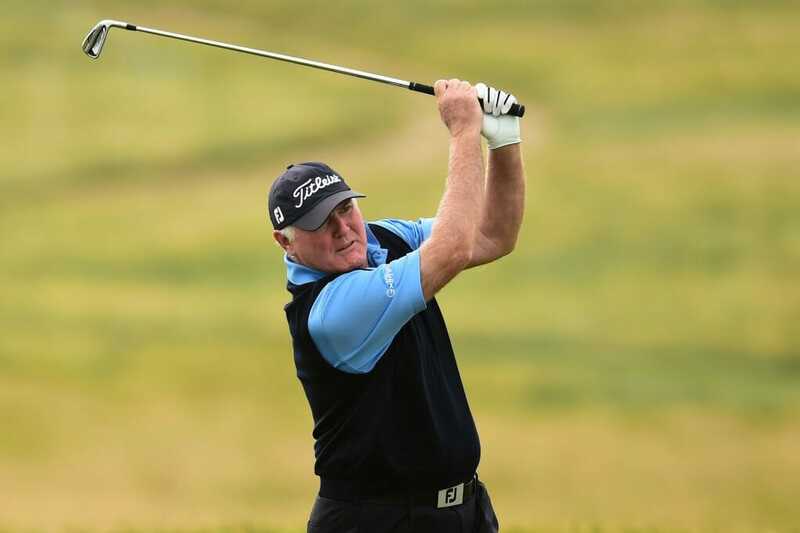 Ronan Rafferty proved to be the best of the Irish trio as he finished in a tie for 32nd at the Senior Italian Open presented by Villaverde Resort. Rafferty returned a three-over-par 75 for a plus one total, falling 14 places down the leaderboard on the final day. That was three shots better off than former Ryder Cup hero, Philip Walton, who enjoyed a much better week after struggling to find his best form so far this year. Walton signed for a one-over-par 73 for a plus four tournament total, good enough for a share of 38th place, while Headfort’s Brendan McGovern carded a second successive 77 for a disappointing weekend display that saw him sign off with a 10-over-par total. Clark Dennis became the first player to win the Senior Italian Open twice as he defended his 2017 success with victory in a play-off at Golf Club Udine. The American, who won last season’s tournament via a play-off after severe rain and thunderstorms abandoned the event after 36 holes, defended the title with another play-off triumph as he beat Rafael Gomez to write his name in the history books and become the first player to win two Senior Italian Opens. Dennis did not have it all his way as Argentine Gomez led for most of the day. However, a 25-foot birdie putt on the 18th hole forced a play-off as Gomez three-putted for bogey to tie at 13 under par. The title was decided back on the 18th green as Dennis tapped in for par on the first extra hole while Gomez struggled from the fringe at the back of the green following a wayward tee shot. The Argentinean was in control for the majority of Sunday as he holed three birdie putts on the opening six holes to move ahead by one. However, Dennis quickly drew level with a birdie on the seventh before Gomez made a further move into the lead. Three birdies and a bogey after the turn gave the 2018 Staysure Tour Qualifying School victor a chance of a debut win, but Dennis was determined to remain in the fight. Even after a birdie on the 13th and a bogey on the following hole, the American, who topped the Staysure Tour Order of Merit in 2017, kept the pressure on down the final stretch. This showed on the 18th green as Gomez, who had a two-shot lead, three putted from the fringe and Dennis forced the play-off with a rousing birdie to card a three under par round of 69. After success in 2017, when he defeated Peter Fowler in a play-off, Dennis was delighted to take the title once again and crown himself a two-time winner of the Senior Italian Open. “It feels fantastic, if not a bit surprising. I really thought I was out of the tournament when I missed the short birdie putt on 17,” he said. “Gomez had a two-shot lead going up 18 and he hit a fantastic drive but I did not expect him to make bogey. I had a pretty long putt and happened to make it, while he made bogey, and now, here I am as the champion. “He did not hit a good drive in the play-off and I knew he was in trouble. I knew if I hit a good drive and hit the green I knew I’d have a good chance, and that’s how it worked out. “I love Italy – it’s great here. The people are fantastic, and this setting is beautiful. Mr Lualdi has done a fantastic job building up this golf course and resort, and it’s a beautiful place. Behind the leading duo, Phillip Price shot a bogey-free six under par round of 66 to jump up four places and finish a shot back from Dennis and Gomez on 12 under par. While South African Chris Williams maintained his excellent start to the season with a fourth-place finish.